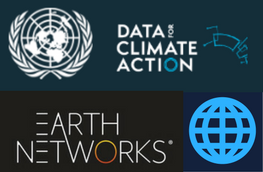 One of the most important things we do here at Earth Networks is aid atmospheric research with our dense weather and lightning networks. Recently, Dr. Martin Fullekrug and Dr. Michael Kosch utilized our new South African lightning network to observe lightning and sprite discharges. 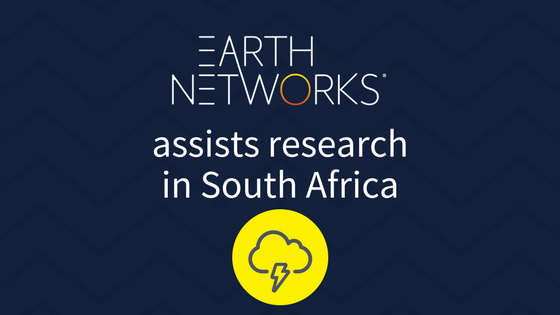 Earth Networks recently deployed a network of lightning detectors across South Africa. This novel extension of the ENTLN assisted Dr. Martin Fullekrug from the University of Bath in the UK and Dr. Michael Kosch from the South African National Space Agency to conduct lightning and sprite observations in the Karoo desert in South Africa. 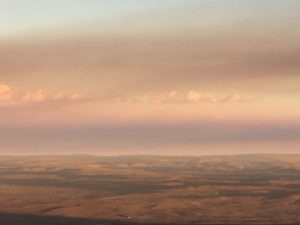 Based on advice from the Earth Networks real-time lightning map established by Dr. Michael Stock, the duo traveled thousands of miles through the ‘martian’ looking desert to chase particularly large thunderstorms. Excellent observing conditions were found at the South African Astronomical Observatory which is located on a ~1,800 m high mountain top, smack in the middle of nowhere. Optical cameras and radio receivers were set up during moonless nights with cold and gusty winds to observe ~500-700 km distant lightning discharges that occasionally produce lightning into space, known as sprites. 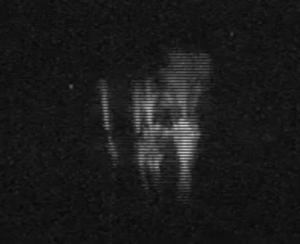 Just after the instruments were set up during the second night of observations, the team was lucky enough to observe many dancing sprites at the horizon which are normally very rare. The researchers believe that the exceptional high quality of the radio recordings with almost no interference allied with the novel video imagery are very likely to lead to scientific discoveries at the edge of current knowledge on the electrification of the Earth’s atmosphere. This general field of research is expected to undergo a major paradigm shift as 5 novel space missions are under way to unravel the remaining mysteries of lightning and sprites. For further information check out the CTR Wilson Institute for Atmospheric Electricity or follow the atmospheric electricity twitter feeds.